Consider what you do online and where you spend that time. When you leave the house, what is one of the top 3 things that you MUST have when you leave? Keys – check, wallet – check, phone – CHECK! Why is it that you must have your phone on you at all times? Most folks treat their cell phone as their lifeline to the outside world. Our phones are our main hub in daily life – doing research for something we want to know, learn or buy, buying things online, finding a nearby restaurant or business, getting directions to that local business, checking our email, communicating with friends via texting or mobile apps and of course – social media. The point in mentioning this is that consumers are looking on their phones/mobile devices for websites that offer something that they need…. CONSTANTLY. Whether you offer a product or a service, someone somewhere is searching for that product or service online. Back in the day it used to be via the yellow pages, then blackberries and desktop computers, then tablets and now… smartphones. We are even seeing less and less folks that actually have landlines in their homes these days. Everything that can be done on a PC CAN be done on a mobile phone or device. Desktop computers used to receive the majority of searches and daily use and now mobile devices have tipped the scales and are beating out desktop in search and daily use. Again my point in stating this is that you need to have a mobile version of your website… it needs to be responsive. People are on their phones all the time – why wouldn’t you have a #mobile friendly #website? So why do you need a mobile-friendly website? Check out YOUR website analytics to see where your traffic is coming from, but regardless, you need to be mobile responsive. See the screen shot to the right of where to look for your mobile traffic in Google Analytics. Could you use some of those online orders? Google has made it clear that having a mobile responsive website is important. As a business, Google wants to keep their consumers happy. Having a mobile-friendly website or one that is responsive to the mobile device is easier for the consumer to see, to scroll, to search and to find what they need to find on your website. If they have difficulty doing so they will ultimately find another website that can provide them with the information that they need. That other website is your competitor. Mobile-first indexing is coming. This year Google is making a heavy statement that they will be indexing mobile websites (the spiders crawl your website and cache/store your information) before they index your desktop website. Google will still crawl the desktop version but the mobile version will be the primary search engine index. This means that the information that is on your mobile website needs to be the same, if not better than your website. Ideally, your website platform has themes or templates that you choose from and upgrade them as technology changes… this was over the course of the last year or two. If you haven’t updated your site, your theme, your template or content management system in a few years, it is likely/possible that your website is not responsive. Many businesses have created such custom sites that instead of changing their theme/platform/etc, that they just created another site for just mobile. This may be the case where your mobile site might not be the same as your desktop website. If so, are you okay with providing your target market with only half of your website information? I think not, make sure your website is mobile responsive or at least your website and mobile site are similar of one another. Further, if you have an old template or website builder and you haven’t updated in awhile, you just may have an old theme and/or haven’t upgraded/updated to a newer template that is mobile. Most website builder companies have plenty of mobile responsive themes, you may or may not have one of them. Check out this link, via Google, to see if your website is mobile-friendly. Just enter your website address and boom! You can see an example of that in this image which shows my website is mobile responsive. You can also refer to Google’s Search Console (previously Google Webmaster Tools) to see if there are any Mobile Usability errors. See screen shot to the right of my Search Console. What if it’s not mobile friendly? Well, if you read this far and that is still a question, I’m not sure what to tell you, but in case you skipped ahead, I’ll spell it out for you…. 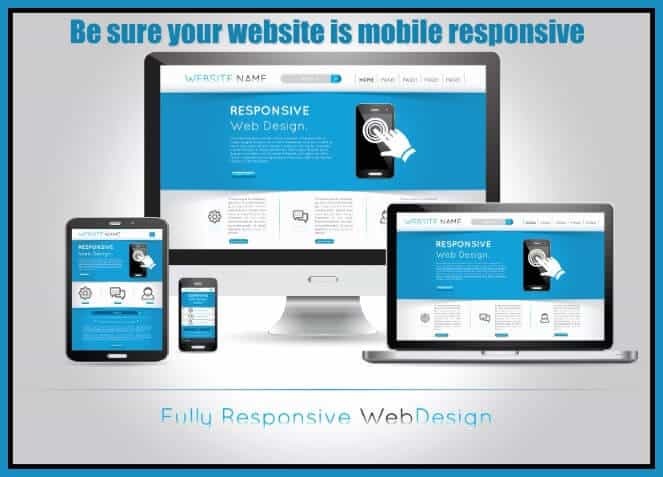 Get a Mobile Responsive Website! If you have an older theme, platform, template and there is a version that you can upgrade to, I would highly suggest it. I would want to be sure you have a back-up of some sort so you don’t lose your content. Take advantage of the customer support of your website builder if there is one and/or if you aren’t tech savvy, by all means, outsource to a website developer. If you need a few options, let me know and I can give you a few referrals of folks who can help you… because it isn’t always just a simple click of a button and I know you don’t want to lose your valuable content! Seriously? No mobile friendly website means you CHOOSE not to be user friendly or found in Google. What if I am still a stubborn fool? Yep… I called you out! 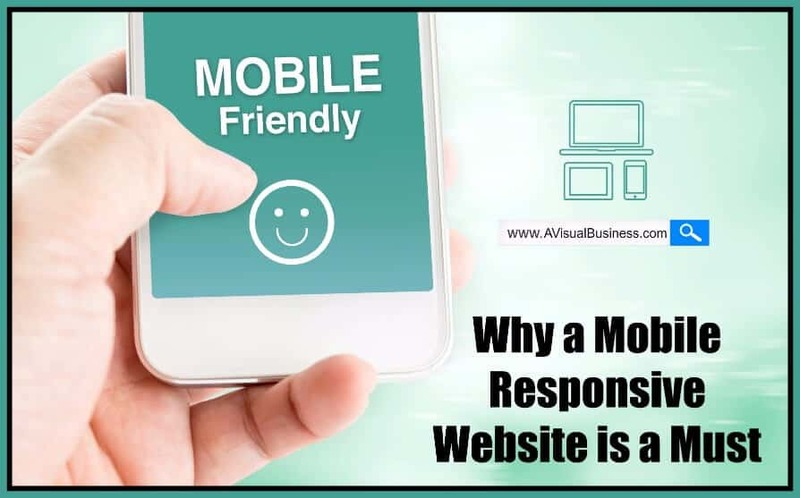 If you don’t have a mobile responsive or mobile website – you are just choosing to not be found and choosing not to make things easier for your consumers. Will Google punish you… ehhhh, technically, no. This is part of Google’s newest algorithm change but whether it will affect your rankings or not, is not yet determined. I will say that if they index mobile first and you don’t have one, then they get around to indexing desktop (I’m only speculating in order of importance).. then you can consider that a slight ‘penalty’. If you already have a mobile responsive website like on a WordPress theme there shouldn’t be much of a change. This is why it was imperative over the last year or two that you have a mobile friendly website or to work on updating to one. Remember, you are a consumer, consider the amount of time that you spend on the internet, what you use it for, and where you are using it. Because ultimately it comes out to having a website, whether it is on a desktop, a tablet or a smartphone, that is user-friendly to whomever that user is on whichever device they plan to view your website on. You want to make sure that your website is easy to navigate, easy to read, clear on how to navigate through your website, easy to comment, share and whatever else, regardless of which device they use. Should you have any questions on your mobile responsive website, your non-mobile friendly website, search engine optimization, search engines, or just about anything dealing with online marketing, feel free to contact me. I am here and happy to help. Yeah, this is no longer an option. This is the time and moment to go responsive if you haven’t already. In truth this should have happened in 2015. We started building responsive in late 2014. That’s right Renee… too bad more don’t get it! Wow, I had no idea of these statistics! Makes sense though, doesn’t it. We live on these dang phones. I am so blessed to have great website folks! We sure do Susan… “dang phones”. Glad you have great website folks. So grateful I read similar advice before starting my blog in 2015 so I made sure to choose the right theme. Did the test anyway (thanks to your link) and Yay! I’m mobile friendly. I know a lot of my readers access my site via their phones – some have even put on a little app that takes them directly to the site. The beauty of smartphones is that you can do just about anything, anywhere. It would be a great shame to lose all those potential visitors with a site that isn’t mobile friendly. So glad to hear that you have yourself set up Tami! Totally agree! I surf on my phone as I’m sitting at my laptop! A mobile-friendly website is required, not optional. Although I am not a person who uses mobile for anything other than phone calls and iMessage/texts, I realize how key it is to have a mobile friendly website. Great news…mine is mobile friendly and we made sure to choose a theme (even though it is 2 1/2 years ago) and to make it responsive and mobile friendly, which it still is. I agree with you Kristen, that if you want to at least have a shot at being in the game with the demographic who lives on their mobile devices, then mobile is not at option. Thanks for sharing the reasons why too! Excellent article–you explained it all! I’m attached to my phone and do a ton of work on it. Sites that aren’t mobile responsive? Well, I usually click away quickly. While Google may not officially penalize these sites, they don’t need to. You’re absolutely right in pointing out that these sites will get weeded out and fall by the wayside naturally as responsive sites move up in SERP and customers like me click away. Absolutely Meggie.. I click away too! This is so true. I think that many people are on their computers during the day and on their phone at night. That’s when they are searching for services and products. My site is mobile friendly. Thanks for the link to check that! Great blog! Thanks Candess and so glad that you and your site are mobile and squared away! Yea Karen, you are easily in the minority on using mobile… but glad yours is. Very important post, Kristen as online marketers it is a MUST to have a mobile-friendly website and if you do not well then you are definitely missing out BIGTIME! Thanks for sharing these all important reasons WHY it is a MUST in 2017!! Yes Joan.. as ANY business online, we must have a mobile friendly site. Great reminder and a good thing I checked. I’m mobile responsive but noticed there was a message where 3 responses are blocked – aweber form, facebook and pinterest. Do you know how I can solve that? Thanks Joyce… not sure what the error says so I can’t help. If you email me, I can look at it.. not sure. I just discovered today that one of my-too-many-websites was NOT mobile responsive so I will decide what to do with this. I actually read a report just last week that Google was going to punish sites that were not mobile responsive…can’t recall the source. Mobile friendly from day one, and updating plugins to be compliant with Google’s new policies. That’s a big priority for me. I don’t want to get buried. It’s hard enough to get to the top. Why deliberately sabotage your hard work by not being mobile responsive? OMG.. yes Jennifer… so hard to stay up.. why worry about having to go BACK! This is no longer an option. This is the time and moment to go responsive if you haven’t already. In truth this should have happen in 2017. We started building responsive in late 2014. This IS 2017… but I think you meant it should have started before… agreed! Perfect! Yes, mobile responsive is key! A good amount of my website re-designs lately have been because the client’s current site was not mobile friendly. I’m always so happy when a business owner realizes the importance of this and how very important their web presence is to find – and keep customers!